Words cannot do justice to how ridiculous and fantastic this “race” is! The time is of no interest to any international participant as the local Nepalese will finish hours ahead of us as they are better acclimatised to the conditions; the common goal of the internationals to “just finish before dark and without breaking anything”. Some would argue that just making the start of the marathon is an achievement in itself, the majority in my group were suffering from either altitude or general sickness as the previous ten day trek had left all of us in less than perfect condition for the main event (no tapering, relaxing or staying well fed prior to this race). 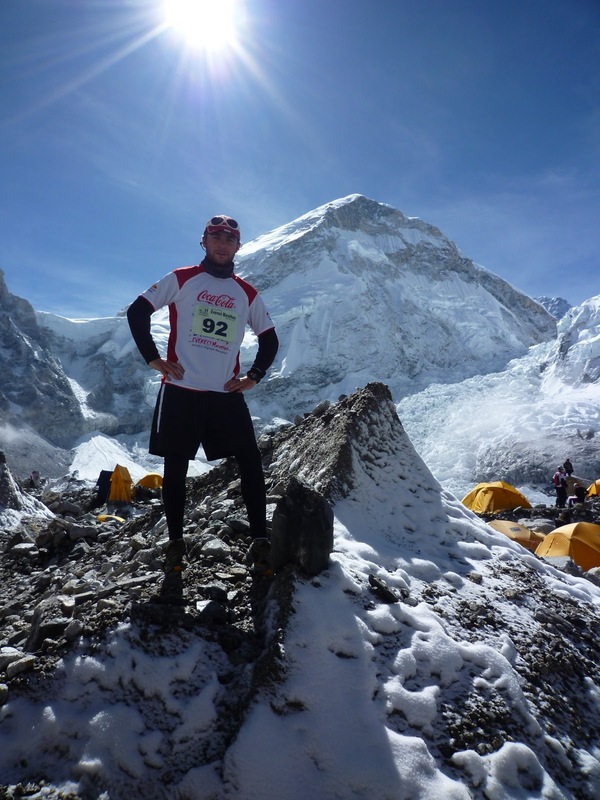 The marathon itself starts at the bottom of the famous Khumbu Ice Fall at Everest Base Camp; at 5634m above sea level not only is there 50% less oxygen in the atmosphere but the first 5k is on the icy moraine of the Khumbu Glacier. As the race started I got caught behind a train of Yaks along the moraine of Base Camp which held me up for 15min until I could find somewhere to pass them (not the usual marathon bottle neck then). Having, eventually, got past the Yaks I soon got into my 4mph stride, anything faster than this had me gasping for air and my legs feeling like they were on fire.